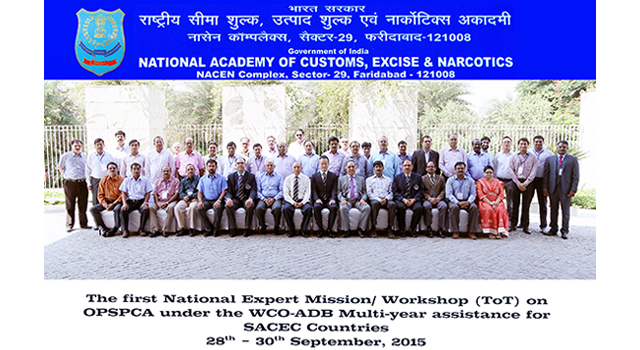 The Central Board of Excise and Customs (CBEC) conducted a national workshop on Customs valuation on 28 September-01October 2015 in Faridabad, India in collaboration with the World Customs Organization Asia Pacific Regional Office for Capacity Building (WCO ROCB A/P) and the Asian Development Bank (ADB). A total of 36 Customs officials participated in the CBEC-led workshop, which was designed to enhance CBEC's in-house experience in delivering effective and sustainable training on Customs valuation control in India, ideally through post-clearance audit. WCO ROCB A/P and Sri Lanka Customs provided technical support to CBEC for the workshop. Delivery by CBEC core project members of a training-of-trainers course on the topic of onsite post-clearance audit. 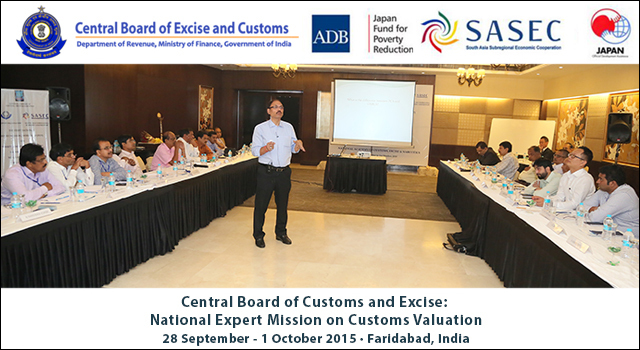 Identification of areas for potential enhancement and/or improvement in India's Customs valuation and post-clearance audit systems. Agreement on the outline for a model training course and training materials to be used by CBEC Customs valuation trainers. Agreed draft of the program and preparation schedule for the final CBEC workshop under the WCO-ADB multi-year initiative, during which CBEC will deliver training sessions on Customs valuation control using the model training course and materials. The workshop was funded through regional technical assistance from the Japan Fund for Poverty Reduction, administered by ADB.